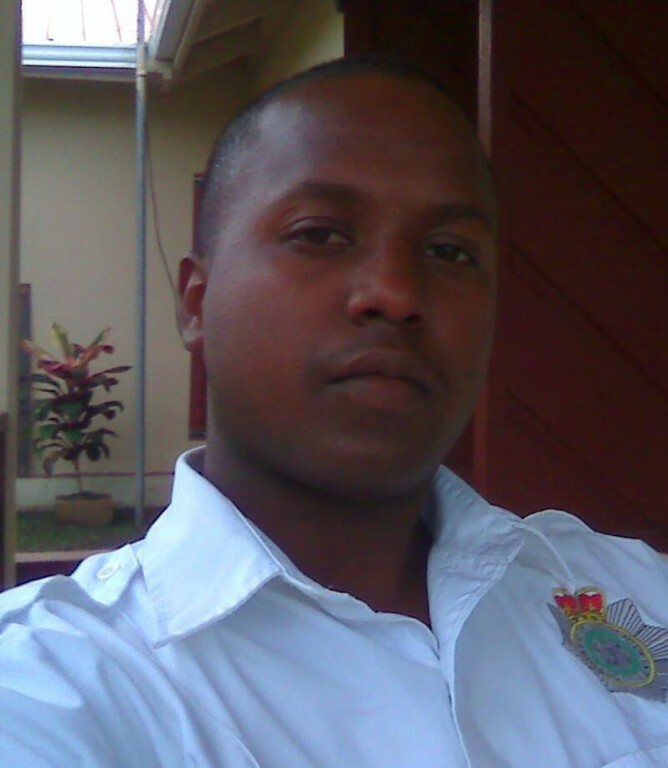 The death of a Tourism Special Constable working at Caracol Archeological site in western Belize has caused public outrage amidst a police investigation. 20-year-old Tourism Special Constable Danny Conorquie was shot to death by armed Hispanic men at the Archeological site just before midday on Thursday September 25th in plain view of tourists and other Belizean tour guides. While Belizean Ministerial authorities have been diplomatic in dealing with the murder, authorities have been unable to bring those responsible to justice. Because the murder happened about five miles within Belizean territory near the Guatemalan border, and because the culprits jumped across the border, they are believed to be Guatemalans. According to the investigating officer, Inspector of Police Reymundo Reyes, Deputy Commander of the Cayo Police Formation, Conorquie and another colleague, Monty Peck were conducting routine patrols within the site whilst tourists were visiting the temples. The investigation shows that Conorquie was sitting down underneath one of the shades observing tourists that were on the main temple. Two armed Hispanic men came from behind the jungle and fired a shot injuring Conorquie to the center of his back. According to Reyes, Special Constable Conorquie apparently fell to the ground and that is when the culprits approached him, stood over an injured Conorquie and fired shots to his head killing him instantaneously. Accompanying the two shooters was another male who picked up the shotgun belonging to Special Constable and they all retreated back towards the bushes. “When Tourism Police Monty Peck had sight of them [the three culprits], they ended up shooting at the officer, so he returned fire with his shotgun, but unfortunately he never hit any of them and they managed to make good their escape," said Reyes. BDF officials traced the tracks of the culprits which showed that the men managed to make good their escape into neighboring Guatemala. As such, it is strongly believed that the shooters are Guatemalans. This is substantiated by the fact that the Chiquibul Forest Reserve, located in western Belize and which includes the Caracol Archeological site, has been under constant attack by illegal Guatemalan Xateros for many years. The illegal Guatemalans, who have been destroying prime natural resources, have shown no fear of Belize law enforcement agencies and on many instances have been involved in shootouts. Despite comments made by law enforcement agencies that suggest that the culprits may be Guatemalan, Belize’s Foreign Minister Wilfred Elrington said there is no evidence to that claim. According to Elrington, it is uncertain if the culprits are indeed Guatemalans. “At this point in time we don’t know who committed the offense. We don’t know who did it; neither do we know the persons’ nationality, so that we can’t ask the Guatemalans for anything… It seemed to have simply been two Hispanic persons, nationality unknown, identity unknown, who committed the offense. So the question of compensation cannot arise and certainly neither can the question of our approach to the Guatemalan government on this matter. We have no basis on which we can properly do that,” said Elrington in a press briefing. For the family of the slain Conorquie, they are angry with Elrington’s comments since they are convinced that their loved one was killed at the hands of illegal Guatemalan Xateros. “The thing that pains a lot is that the BDF was saying that it was the Xateros that shot Danny and then for the Minister of Foreign Affairs to come on the television and say that he got his information that it was only two Hispanic men. Who else could it have been? It has to be the Xateros. Who else would come out of the bush and hurt my nephew like that? It hurts a lot,” said Jennifer Conorquie, the aunt of the deceased Special Constable. Many organizations have joined in condemning the murder of Conorquie and calling on the Government of Belize (GOB) to move swiftly in bringing the culprits to justice. Those organizations include the Christian Workers Union, the People’s Front Movement, the People’s United Party and Citizens Organized for Liberty Through Action. Some also called on the government to compensate the Conorquie family and assist them in all funeral expenses. The Prime Minister of Belize Honorable Dean Barrow, via a press release issued on September 29th (the day after Conorqui was buried), expressed condolences to the Conorquie family. He took the opportunity to reassure Belizeans that GOB is doing everything to seek justice including communicating with his Guatemalan counterparts to assist in the investigation. A post mortem conducted on the body of Danny Daniel Conorquie certified that he died as a result of massive brain damage, due to head injury caused by multiple gunshot wounds. He was laid to rest with full police honors in Georgeville Village, Cayo District on Sunday September 28th. 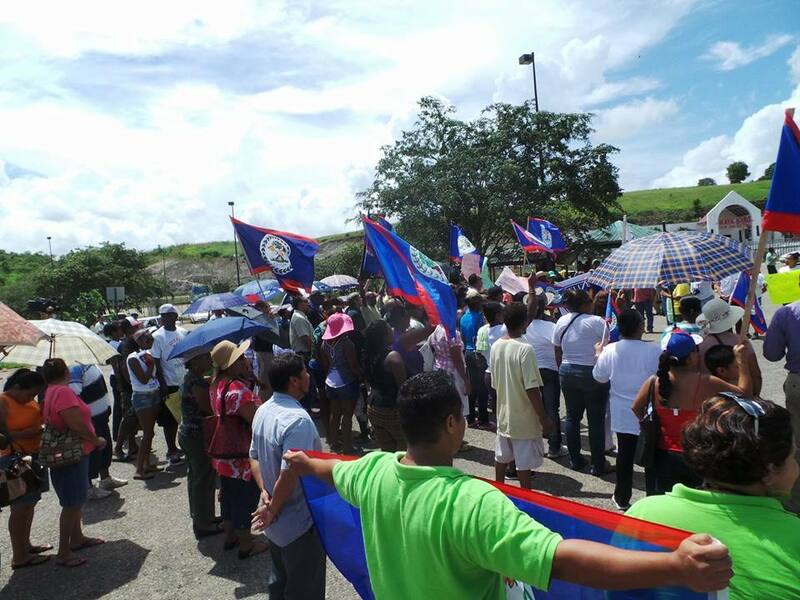 On Tuesday September 30th, a crowd of about 150 Belizeans gathered at the Belize-Guatemala Border in Western Belize. The protestors gathered to register their discontent with the execution of Conorquie and demanded justice. They also called on GOB to take quick action to protect Belize’s territorial integrity. A video captured by tourists visiting the site at the time of the incident shows how the situation unfolded. The video images was captured seconds after the three deadly shots, the immediate reaction of the other Tourism Police in the area, steps taken to ensure the safety of the visitors, and the time when back-up officers arrived. It brings to light the tense moments that were lived by those in the area at the time of the incident. The video can be seen at http://vimeo.com/107535965 (we warn our readers that Officer Conorquie’s body is visible in the video). There has been no word from either the Guatemalan Government or the Organization of American States, in regards to the murder of the Belize Police Officer by suspected illegal Guatemalans. 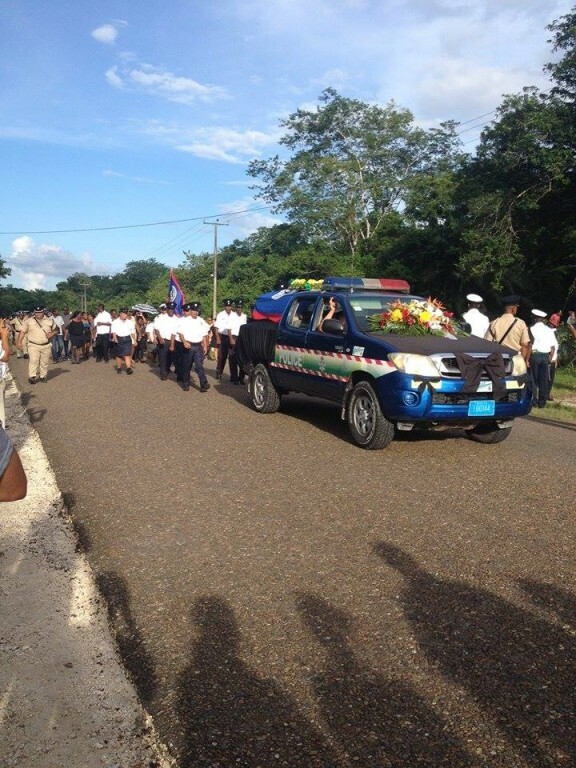 This is the first time in Belize’s history that a member of the country’s security office has been murdered the line of duty along the Belize-Guatemala border. Editors Note: Xaté (pronounced: shatay) are the leaves from three species of palm trees. The fronds are popular in the floral industry for flower arrangements, Palm Sunday, church services and funeral decoration, as they can last up to 40 days after being cut. It is estimated that 400 million stems are exported from Guatemala and Belize to North America and Europe each year. There are virtually no Xaté plantations to date and all Xaté on the international market is harvested by Xateros from palms in the forests of Mexico, Guatemala and Belize. Xateros rely on the harvest of palm leaves for income and this has made an impact on the population of palms in the wild. Xaté, and particularly the Fishtail species has been over-collected in the forests of Guatemala and Mexico. Now Xateros from Guatemala illegally cross the Belizean border to cut the leaf.